After a long lull, corporate performance is improving but the road to recovery is uphill. 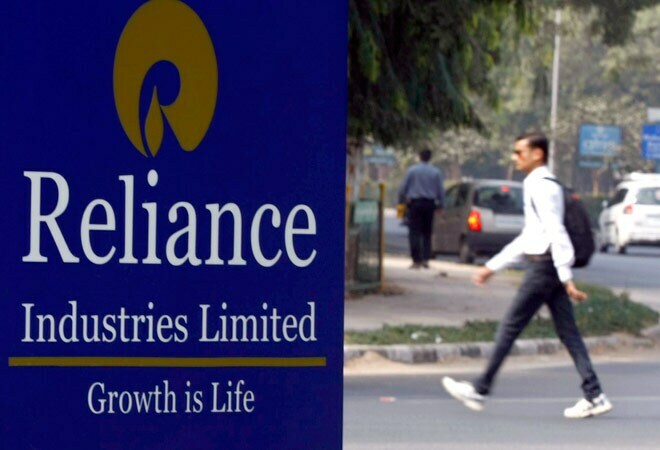 Energy-to-retail giant Reliance Industries Ltd (RIL) has several firsts to its credit in India's corporate story. The Mumbai-based firm was the first private company in India to discover gas, first to be rated by global credit ratings agencies, first to offer global depository receipts and also the first to issue 50- and 100-year bonds in the US debt market. But all these feats don't come close to what RIL achieved in July when it became the first private firm to earn a net profit of $1 billion (Rs 5,957 crore) in a quarter (April-June 2014). But it may seem RIL took a lot more time to reach the milestone from 2003/04 when it became the first private firm in India to cross the $1-billion mark in net profits for the full financial year. The company has been posting net profits of above Rs 5,000 crore for the past several quarters but last year's rupee depreciation furthered the delay in achieving the milestone. Undoubtedly, the slide in rupee has played a defining role in the 2013/14 corporate earnings. But there were other factors too such as slower GDP growth, high inflation, high interest rates, policy paralysis and an overall dip in business confidence level. The slow GDP growth for two consecutive years - 4.5 per cent in 2012/13 and 4.7 per cent in 2013/14 - brought down fresh investments and overall consumption. Corporate performance had started slowing down even before 2012 but both the sales and net profit slumped in 2013/14. For instance, the turnover growth of BT500 companies slowed considerably to 9.7 per cent in 2013/14 as compared to 12.48 per cent in 2012/13 (and 23.16 per cent in 2011/12). Similarly, profit after tax (PAT) growth came down to 3.73 per cent in 2013/14 from 9.72 per cent in 2012/13. The more worrying trend is the linear decline of net profit margins over the past four years. The net profit margins of BT500 companies stood at 7.7 per cent in 2013/14 compared with 10.4 per cent in 2009/10. Analysts say that in a slowing economy, profit margin erosion is natural, but soaring oil prices and high cost of credit have further exacerbated the situation. "In an economic slowdown, when sales growth tapers off, cost structure doesn't come down, which affects the profit margins," says Vinay Khattar, Head of Research at Edelweiss Securities. "Falling sales have two outcomes: lower capacity utilisation and companies losing control over product pricing. It's difficult for them to pass on the higher input cost to consumers to maintain or grow profit margins," says Devang Mehta, Senior VP and Head (equity advisory) at brokerage firm Anand Rathi Securities. The profit margin deterioration was a big issue with mid- and small-size companies as compared to large corporations. For example, in the list of top 20 firms, only seven saw their net profit margins dip in 2013/14 as compared to 2012/13. Large firms such as TCS, ONGC, ITC and HDFC Bank registered better margins. Infosys, Reliance Industries and State Bank of India saw their standalone profit margins decline. All public sector banks in the top 100 list except Bank of Baroda showed decline in net profits in 2013/14 due to rising bad loans. The gross non-performing assets (NPAs) of public sector banks stood at 4.8 per cent as on June 2014, a rise of 60 basis points over last year. Meanwhile, the global aspirations of domestic firms too seem to have not worked out well. Large corporations that had acquired foreign assets when the economy was booming are struggling to maintain profit growth. For instance, Bharti-Zain, Hindalco-Novelis, Tata Steel-Corus and ONCG-Imperial Energy have shown patchy profit growth over the last few years. Bharti Airtel, which bought Kuwaiti telecom firm Zain's African assets in 2010 for an enterprise value of $10.7 billion, registered PAT of Rs 6,600.2 crore in 2013/14, a decline from Rs 7,743.84 crore in 2008/09. "Indian companies have every right to acquire assets abroad but it looks like that the sellers were able to package the deal well. Indian companies have to become more mature," says Jagannadham Thunuguntla, Head (Research), SMC Global Securities. Agrees Pankaj Pandey, Head of Research at ICICI Securities: "While the valuations looked fair at that time, in hindsight we believe that the companies could have been more prudent." The problem with the corporate sector for the past two years was capital intensive sectors such as infrastructure, construction, mining and real estate suffered on account of slow project execution, land acquisition, environmental and policy related issues. But export-oriented sectors such as pharmaceuticals and IT benefited from the sharp rupee depreciation last year. The rupee had hit its all-time low of 68.85 against the dollar in August 2013. In addition, sectors dependent on rural consumption - tractors, FMCG and two-wheelers - registered steady growth. "Till about six months ago, the rural consumption was strong. It was growing roughly twice as fast as urban consumption due to several social sector schemes, including the National Rural Employment Guarantee Act," says Khattar. The trend is likely to reverse soon, feel some analysts. The gains that export-oriented sectors made in the past are expected to vanish under a stable currency. "Profit margins in the IT sector are expected to fall. The benefits of rupee depreciation for export-dependent firms will start diminishing from this quarter," says Pandey, who expects earnings growth of 16-16.5 per cent over the next two-three years. Global indicators also suggest economic recovery for major economies such as the US, UK and Japan. The Chinese economy will remain subdued and that is expected to keep commodity prices low. "Most input prices are low and likely to remain soft. Softening of growth in China, the largest consumer of commodities, will keep commodities prices down," says an analyst. 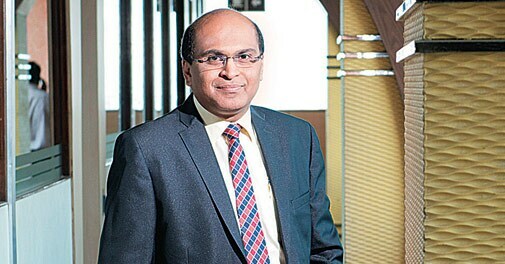 Prabhat Awasthi, Head of Equity & MD, India, Nomura Financial Advisories & Securities, says the corporate sector growth will be led by domestic cyclicals such as auto, banking and agro-goods sectors. "Till recently, the exports market was leading the show. The way the economy is structured, the recovery will not be straightforward this time." Still, analysts feel the operating environment for Indian companies is likely to be less challenging during 2014/15 than it had been in the previous year. This is because India's economic growth is showing signs of acceleration - gross domesic product grew at 5.7 per cent in the first quarter of 2014/15, its highest pace in 10 quarters. Also, the current account deficit has narrowed while consumer price index inflation has eased from the peak of 11.2 per cent in November 2013 to 7.8 per cent in August 2014, says ratings agency ICRA. "Moreover, several policy initiatives including efforts to revive stalled projects, tariff revision by state utilities and re-scheduling premium payout for road projects could alleviate some sector-specific concerns," it says in an October report. But the catch is that India doesn't have control over many issues. "We have vulnerable forex reserves, huge dependency on imported oil and a susceptible currency. All these three things feed into each other. In a short period, things may go haywire," says Thunuguntla. Another analyst says there's overconfidence in the capital markets at the moment and everybody has forgotten what happened last year. "At least, there was no anticipation last year. But this time, a lot of anticipation has already been built. If there's an underperformance on the corporate front, it will have serious impact on the overall environment," he adds. The first-quarter numbers for 2014/15 have been encouraging. According to an ICICI Securities report, earnings growth in the April-to-June quarter for Sensex companies gained momentum after lacklustre growth in the quarter ended March 2014. The report says that the operating profits of BSE 30 companies grew by 21.6 per cent year-on-year in the April-June quarter as compared to 5.4 per cent in the January-March quarter due to lower raw material costs and operational efficiencies. Though the indicators point out to a revival in corporate performance, the recovery may not be quick.